great mattress for the price best night sleep in along time should of purchase a yr ago.Friendly delivery ppl and very careful with all the corners that had to go around to get to the bedroom. This user was entered into a sweepstakes after submitting their honest review. PROSPECTIVE PURCHASERS BEWARE !!! I am revising my review of this SIMMONDS BEAUTYREST, INNERSPRING, FIRM, KING SIZE, (BOUGHT FROM OVERSTOCK.COM) mattress because it has turned into a nightmare which after only two months, it is becoming clear that there is something drastically deficient with its INNARDS. The top quilting and foam-rubber immediately beneath it are fine - but what is beneath that has practically totally broken down. I am 6 feet tall, and just under 200 pounds ... so that works out to around 17 pounds per square foot (directly beneath me). The Beautyrest I replaced with this one was 15 years old and yet ITS INNARDS (THE SPRINGS) CONTINUED TO BE FULLY SUPPORTIVE AFTER 15 YEARS. It was the foam-rubber which was breaking down due to age / wear-tear. Some of the reviews and info given on the mattress gave me the impression that there might be a sort of 'break-in' period ... that I had to become accustomed to the time it took for the mattress to resume its shape (loft) after getting out of bed. As I said - the quilting and foam rubber at the top layer DOES SO ... but the rest is just practically GONE. After moving to the middle third (of my KING size) ... which lasted but a short while ... NOW I'm on the last third. I was doing that so that the 1st third would ultimately 'come back to full form' - but that is not the case. I can roll over to the 1st 3rd, and it’s like I’m rolling off a cliff briefly. Next I have to go to the Guest Room bed, and as now - try to figure what my next move is. For a retired Veteran on a limited income; THIS WAS NOT AN INSIGNIFICANT AMOUNT OF MONEY ... ... as I had finally given up hope the mattress would 'come back' ... I see that not two months later, I’m beyond the ’return period’, and I'm stuck with ... and will have to replace ... an EXPENSIVE PIECE OF WHAT TURNS OUT TO HAVE BEEN TRASH. All I can speculate is that Overstock got them in the first place because there was some error in their construction … LIKELY THE WIRE USED IN THE INNER-SPRINGS WAS FOR A SOFTER, RATHER THAN ‘FIRM’ MATTRESS …………. Or equally likely, the Mattresses have spent too much time in overheated warehousing where the foam-rubber has degraded ? That brings up another warning - shortly after first sleeping on this new mattress, my throat, sinuses, and upper chest became chronically congested, and I developed a persistent, deep, hacking, non-productive cough. That lasted for about 4 weeks …. And at the height of the problem, I actually lost my voice - for the first time in my life. The longer I was out of the bed, and the further from the bedroom - the less the congestion, be degrees. All I can venture there is that it MUST HAVE BEEN the chemical off-gassing from the man-made materials which are more toxic to me than others because everything else in my home is of natural fibers … even the carpets are all wool. For 3 nights, I hacked and coughed and had to blow my nose from the congestion ALL NIGHT LONG … totally clear mucus … no (bacterial/viral) chest, throat, or sinus infection at all … just the off-gassing irritation (not to dismiss the problem that THAT is, though). Then there is my back. I’ve never had back problems … but with this mattress, about half-way through a night’s sleep I start becoming semi-conscious of my back hurting … until I move to another section of the bed … and so on. By morning, I can’t wait to get out of the bed … it’s actually like a feeling of relief. TERRIBLE !!! TAKE HEED …. SIMMONDS AND OVERSTOCK should have destroyed these defective mattresses … but perhaps are counting on shorter people who weigh less buying them. My previous mattress was just plain ‘Beauty rest’ … this one is Beautyrest FIRM … and certainly should have had no problem with my size. I'd give it ZERO STARS if the system would take it ... but 1 is the least it will take. FOREWARNED IS FOREARMED ! DON’T BUY IT ! SHAME ON YOU SIMMONDS, AND OVERSTOCK.COM (022419) I hated letting go of my previous 15 year old KING sized Beautyrest because it LOOKED like new ... but over time the different foam rubber underlayment / 'support' deteriorates and not only fails in the 'support' area - but also APPARENTLY contributes to air quality issues (this despite the fact that my mattress is vacuumed regularly between linen changes. In the last couple years I had been noticing what had become an increasingly bad issue with nasal congestion. Once I had the new / replacement mattress - the congestion issue is now largely resolved. In any event - I love my Beautyrest KING SIZE (not Q. as stated in Overstock's 'title') firm innerspring mattress. The edge isn't near as sturdy as the one I replaced - but I'll get used to that I suppose. I wasn't thrilled with the 'darker shaded' sides ... but at least the top is not gray or black (which in my estimation is not a good idea for bedding). FINALLY ... this is a major disappointment for me - this mattress is NOT TWO SIDED / aka: FLIPPABLE. When I purchased the prior mattress those many years back, the standard was all mattresses were generally 'flippable' ... it was understood. When that changed - they started advertising mattresses which DON'T NEED TO BE FLIPPED. Now, apparently, THAT is the new standard, because in all the details I read about this mattress, and all the reviews at that point - nothing was said about it being NOT FLIPPABLE. I don't like this AT ALL ... but am not willing to jump through hoops to try to return it and then resume the search. I like the quality and firm comfort level ... but will chalk the 'flippable / non-flippable' thing down to a somewhat expensive lesson learned. Other than the awful delivery company, this is a beautiful mattress. Overstock was VERY nice and helpful. The mattress is very comfortable. I highly recommend this mattress and I highly recommend Overstock. The price on this item is outstanding for the quality. great mattress for the price best night sleep in along time should of purchase a yr ago.Friendly delivery ppl and very careful with all the corners that had to go around to get to the bedroom. We bought this to replace a ridiculously expensive hybrid mattress we bought from a retail chain that immediately went lumpy and caused terrible back pain. We should have bought this first and saved ourselves a ton of money and discomfort. Be warned, it's very very firm, but that's what my bad back needed and I am very pleased with my purchase. "Is this mattress flappable, not pillow top, I am old school rotate every six months." This is not flipplable but can be rotated with no problem. "How many coils are in this mattress? Are they individually wrapped? An average queen mattress for a good mattress should have around 725 individually wrapped coils. " "Beautyrest 12" Firm Innerspring-Queen Size Mattress-Item#26537155 - Under the description of the construction of this mattress it is quite vague...... What Thickness are the different Layers it describes that it has? (1)-Dual Cool Technology Fiber- What is this made of? Foam, Latex, Polyurethane, Gel Foam ? How Thick is it? (2)-Gel Touch Foam-Thickness? (3)-Air Cool Foam-Thickness? (4)-Air Cool Gel Memory Foam Center-Third Support-Thickness? (5)-Under the Beautyrest Pocketed Coil Technology- How many Coils? Gauge Thickness of these Coils? How Tall are these Coils? (6)-Under Aircool Ventilated Beauty Edge - Is this what is commonly called, " Foam Encased Edge Support" ? 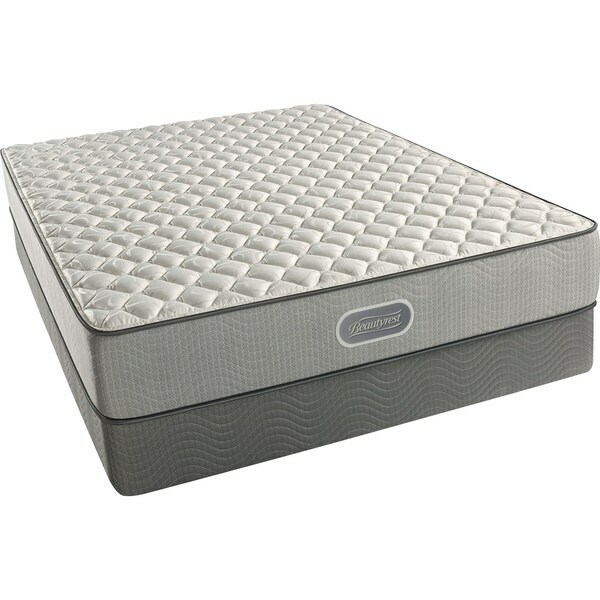 (7)-What is the maximum weight this mattress is designed to sustain from a sleeper? and last question. (8)-Is this a 2 sided mattress? Can you Flip it? The answer to these questions would be very helpful in order to be able to make a knowledgeable decision on the purchase of this mattress. Thank You for your help." 12 “is the thickness Shouldn’t flip any mattress only rotate Simmons Beautyrest website would have all this information. I mean overstock isn’t a mattress only store. They most likely have very little info about any particular mattress. ""Does this mattress come with the box springs?"" "Does this mattress come with the box springs?" It would be posted as “Mattress Set” if it included a foundation/Box spring. "Is this mattress usable on both sides?"